We’d love your help. Let us know what’s wrong with this preview of Trust Me by Earl Javorsky. Jeff Fenner’s life is out of control. At the nadir of a rocky, sometimes-up-usually-down career, he has finally come face-to-face with his demons: he’s being investigated by the police, he owes money to the wrong people, and he sees an empty future shutting down in front of him. When Jeff hears that his sister Marilyn has committed suicide, he refuses to believe she killed Jeff Fenner’s life is out of control. At the nadir of a rocky, sometimes-up-usually-down career, he has finally come face-to-face with his demons: he’s being investigated by the police, he owes money to the wrong people, and he sees an empty future shutting down in front of him. When Jeff hears that his sister Marilyn has committed suicide, he refuses to believe she killed herself and he embarks on a tortuous journey toward self-discovery and redemption . . . and toward the beautiful but troubled Holly Barnes. Holly’s own demons have led her to a self-help cult in Beverly Hills called Saving Our Lives (or, perhaps more appropriately, SOL). Through Holly, Jeff learns of a string of apparent suicides eerily similar to his sister’s—and that Holly is the next target. To ask other readers questions about Trust Me, please sign up. Trust Me, depending on how you say it, can be comforting or ominous. Follow the disaster that is Jeff Fenner’s life, one day at a time as his world fills with the unspeakable, the dangerous, the humbling and the illuminating. Jeff’s sister has committed suicide, he is in debt to less than savory characters and he is on the law’s radar. Once one hits bottom, there is nowhere to go but up, and Jeff begins his crawl out of the hell of addiction and self-destructive ways with the aid of the troubled Trust Me, depending on how you say it, can be comforting or ominous. Follow the disaster that is Jeff Fenner’s life, one day at a time as his world fills with the unspeakable, the dangerous, the humbling and the illuminating. Jeff’s sister has committed suicide, he is in debt to less than savory characters and he is on the law’s radar. Once one hits bottom, there is nowhere to go but up, and Jeff begins his crawl out of the hell of addiction and self-destructive ways with the aid of the troubled Holly and a cult designed as a Self-help group. When he discovers a string of apparent suicides that are too close to his sister’s to be coincidence, he also learns that Holly may be next in line. 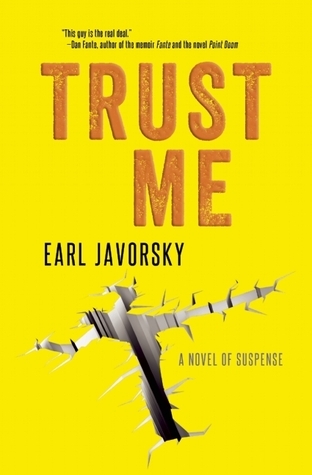 Earl Javorsky’s Trust me is a tale full of darkness and suspense as one man attempts to redeem himself and stop the deaths of any more victims. Haunting, edgy and intense come to mind when I think of Earl Javorsky’s writing style a she boldly fills in each detail, adding some humor along the way. In a maze of twists, character quirks and entanglements, Mr. Javorsky has written a remarkably refreshing and thought read that will have readers asking for more. Do you like endings that slam into you and leave you dazed? This could be a mystery lover’s dream…Trust Me on that. I received this copy from The Story Plant in exchange for my honest review. Trust Me is a well written and cleverly plotted crime/murder thriller set in and around Los Angeles. The main character is Jeff Fenner, a heavy drinker and jaded coke/LSD dealer whose life is imploding as his addictions wear him out, and one piece of bad luck follows another. Running alongside is the story of deeply troubled Holly, who gets involved with SOL, the 'Save Our Life' organisation that purports to solve problems of addiction and psychological blocks by way of finding one's 'inner child'. At an SOL meeting she meets the mysterious Art Bradley. I haven't got anything negative to say about this novel; it held my interest throughout, ends well, and isn't predictable. For me, it just missed the spark that sends a book into the '5*, I loved it' zone, but that's only personal taste; it's jolly good, I'd recommend it, and I'd definitely read more by this author. Well told, a great voice, and suspense like a drumbeat. This book grabbed me at the prologue. Trust me: Earl Javorsky brilliantly plotted his novel, Trust Me. Yes, I couldn’t resist the play on words. The entire concept was brilliant. He mixes great characterization, setting and dialogue to complete the novel. I envision this novel as a film—maybe not blockbuster, but I’d sure pay to see it. Warning: This novel is for adults only. Jeff Fenner's life is on the brink of collapse. He owes the wrong people too much money, anything he might call his own he's losing his grip on, and his estranged sister has just committed suicide. The police are on his trail and it won't lead anywhere Jeff is ready to go. There's no light at the end of this tunnel unless he makes it himself, and he knows it. As Jeff tries to find his way back to the surface, he crosses paths with another troubled person: Holly Barnes. 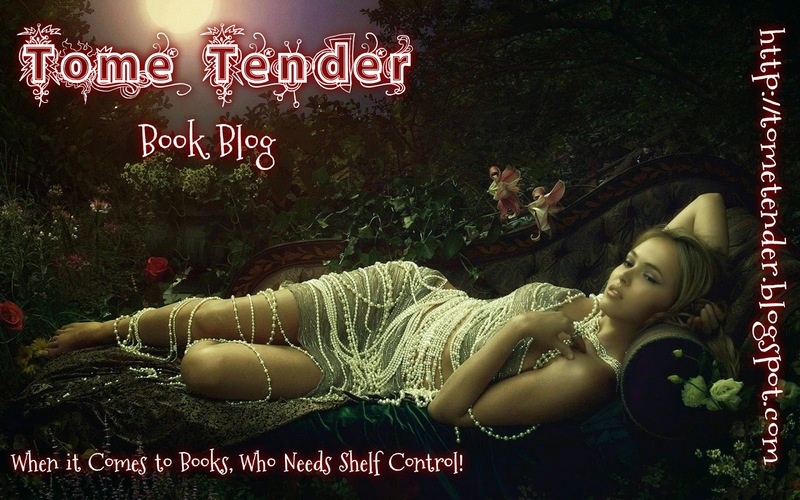 Holly has been struggling Jeff Fenner's life is on the brink of collapse. He owes the wrong people too much money, anything he might call his own he's losing his grip on, and his estranged sister has just committed suicide. The police are on his trail and it won't lead anywhere Jeff is ready to go. There's no light at the end of this tunnel unless he makes it himself, and he knows it. As Jeff tries to find his way back to the surface, he crosses paths with another troubled person: Holly Barnes. Holly has been struggling with her demons and trying to find solace in a West Coast, New Age self-help group called Saving Our Lives. (The acronym to SOL is particularly ironic.) Via Holly, Jeff becomes aware that his sister's "suicide" is one of a string over the past two years--and Holly is in line to be the next victim. As anyone who's grown up with me knows, I have a penchant for "broken birds" in fiction. I like the bad boy with a heart of gold. I like the shattered soul piecing themselves back together. My characters inevitably have horrifying backstories. (Like the teenager who had his betrothed murdered by the Mafia. Yay?) So the initial description of TRUST ME sucked me right in. Jeff is in far too deep with drugs and booze, and he's finally found where the rock meets the hard place. Holly isn't much better, with a royally abusive boyfriend and her own nightmarish history, looking for any kind of answers. She's not sold on SOL, but has made a few meetings and isn't ready to give up on it yet. Enter Art Bradley. He's tall, dark, and handsome; he has a way with words to put most to shame, and a level of charm almost surreal. He can guess every trouble in Holly's life and insists that SOL is exactly where she needs to be. He's helpful, he's generous, and he's willing to walk with her. It's easy for Holly to agree. Of course, the plot spins downward from there; it is a thriller at its core. Javorsky has a deft way with words himself. He paints pictures with ease, driving us through California streets without sounding like a GPS. (Which unfortunately, I've read books that haven't managed that.) His two leads are three-dimensional and interesting; his secondary characters are much the same. Joe, the cop involved with the apparent suicide string; Ron, the recovering alcoholic journalist who smells a story in this from a mile away; Art, the deviously charming co-founder of SOL. Even the very sideline characters have a story to tell, and I appreciate that more than I can say. In a world filled with credits like "Waitress at Bar," it's easy to make characters shadows, and Javorsky doesn't. However, I have one major issue with the book. While Holly is an incredibly in-depth character, I find her arc exceptionally unbelievable. This is a woman described as having a very spotty past with men in her life, and is currently engaged in a very unhealthy relationship when we meet her. (Tony's a great character, but he's such a sleaze.) When Art shows up, he's very forceful right from the get-go. Never pushy, never demanding, but never taking no for an answer. The reason most people stay in abusive situations (from my own experience) is that this is someone they've known for a while, and have seen something better. Holly mentions that when Tony's straight, he's "really a great guy." This excuses him, for a while, from a multitude of wrongs. Art is no one. Art is a stranger from the SOL meeting. But from the start, she's willing to let him lead her along on a string, give her comp tickets to events, drive her around in his flashy car. I did not trust Art for one second, and by their second or third interaction, I would have been screaming for the hills. It takes Holly 2/3rds of the book before she ever manages to put a foot down, despite voicing suspicion at several points. It wouldn't quite ring true, which was unfortunate in the midst of an otherwise excellent story. Overall, the story is very well-told. The switching viewpoints never got confusing, they fit together with ease, and no character seemed shoehorned in just for a plot point. Each character makes a satisfying arc by the end (some more literal than others) and I'm left feeling pleased about the futures of the characters. Perhaps not the most surprising thriller story, but certainly an enjoyable one. TRUST ME hit shelves on July 14th, 2015. A newspaper reporter is the first to suspect that there may be a link between the eight suicides that have occurred over the past two years, that there is a psychopath on the loose. He's right, of course. We follow the reporter, Ron Pool, in his efforts to find connections between the deaths & clues as to who may have done it. Concurrently, and with more attention, we watch as the murderer primes his next victim. We pretty much know from the start who the killer is. The suspense comes in seeing how he lures his victims and convinces them to trust him, then how he is brought to justice. Javorsky does a nice job of portraying multiple people's stories without it seeming jumpy or disjointed. He does this in the third person yet is able to paint personalities & character. Holly Barnes - aspiring actress. Involved with a Jekyll/Hyde boyfriend. Attending Saving Our Lives meetings to help her overcome issues. Dr. Art Bradley - co-founder of SOL. Takes Holly under his wing, mentoring her in her SOL endeavors. Art is a smooth-talker. He's able to convince Holly to do things she doesn't really want to do. But, Dr. Bradley seems to be really helping her, so she relents to his "trust me" lines. Ron Pool - reporter who had a hunch about Marilyn Fenner's apparent suicide. Aided by a little info from his cop friend, Joe Greiner, he suspects that eight suicides in the past two years are somehow connected. The police have no justification to start interrogating people, but Joe says that if Ron uncovers anything substantial, he'll open an investigation. Ron interviews friends & families of the suicide victims & discovers that three of them had been attending SOL meetings & two had halcion in their blood. All of them were attractive women in their mid twenties and all appeared to have jumped from high places at night. Jeff Fenner - Marilyn's older brother. Messed up on drugs & alcohol, owes money to the wrong people. Does not believe Marilyn would've ever committed suicide. When Marilyn's friend who had been attending SOL meetings with her invites Jeff to go, he decides to see what they're all about. There, he saw Holly for the first time and met Ron. Doing something stupid while drunk one night, Jeff is arrested. When released on bail, Ron gives Jeff a place to stay & encourages him to go to AA meetings & helps him get straight. While dining with Ron & Leanne near the piers, Jeff sees Holly walking with Jack Stanley, a 'rock doc' in San Francisco some five years back. Something seems amiss so Jeff follows them & hides in the shadows of the bait shop, just watching. He sees Jack throw Holly off the pier into the forceful waves & strong undertows. Jeff jumps in and guides Holly to safety. Jack (a.k.a. Art Bradley) walks off, enabling him to mess with Holly's in the coming days. --Until you change your frequency, you'll always attract the same type of people. --Cynicism is a great excuse for staying stuck. --There is a true world, but the human mind can only assimilate so much, so it acts like a filter. The way that each of us reduces & filters reality defines our individual realities. Thank you to Lou Aronica at Story Plant, for sending me a copy of Earl Javorsky's Trust Me, when I was having problems downloading it through NetGalley. Lou came to my rescue and due to the mix-up, I also accidentally discovered Christopher Slater's hilarious novel, Pup. The mistake on Netgalley, ending up being a benefit to me! PLOT - Earl Javorsky's suspense/crime novel, Trust Me, follows an ensemble cast through the city of Los Angeles. Several beautiful women have been turning up dead around Thank you to Lou Aronica at Story Plant, for sending me a copy of Earl Javorsky's Trust Me, when I was having problems downloading it through NetGalley. Lou came to my rescue and due to the mix-up, I also accidentally discovered Christopher Slater's hilarious novel, Pup. The mistake on Netgalley, ending up being a benefit to me! 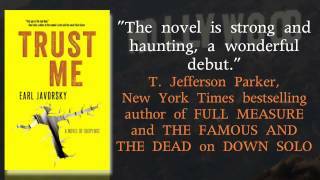 PLOT - Earl Javorsky's suspense/crime novel, Trust Me, follows an ensemble cast through the city of Los Angeles. Several beautiful women have been turning up dead around the city from apparent suicides. When Jeff learns that his sister, Marilyn, is the latest victim, he strongly suspects foul play. Jeff sets out to solve the mystery of his sister's death, which seems to point to her involvement in a local cult. Jeff's detective efforts are further complicated by his own issues, which include owing money to drug dealers and being investigated by the police. Jeff meets Holly Barnes, an actress who becomes involved with the Saving Our Lives cult, as she is trying to escape an abusive relationship. Will Holly be the next cult victim? Can Jeff solve his sister's murder before the rest of his life catches up with him? LIKE- I like stories about cults. They are mysterious and a bit kooky. I can't imagine what drives people to join them, which makes for fascinating and flawed characters. I highly suspect that the Saving Our Lives cult is modeled after something that really exists, probably in Los Angeles. I so intensely curious, that I wish I could call up Javorsky and ask him. Javorsky- if you're reading this, inquiring minds want to know? Javorsky has assembled an interesting cast of characters and he has given them high stakes. I kept turning the pages to see how they could possible get themselves out of their sticky situations, especially Jeff. This is very much an ensemble story, but if there has to be a main character, Jeff is the guy. He a very strong character due to the duality and conflicts in his behavior. On one hand, he's a nice guy trying to look after Holly and figure out his sister's murder. On the other, he is a drug dealer and many of his problems are self created. In Trust Me, he has the opportunity to make better choices and be a better person, but he is constantly under tremendous pressure. I enjoyed following him, because he was a loose cannon. Admittedly, I don't often read thrillers or crime novels. This was a fun, fast-paced read and a nice change from my normal picks. It was very cinematic. DISLIKE - I was very hooked on the story until the last quarter, where the climax and resolution fell flat for me. I'm not sure what I was expecting, but the excitement and mystery that drove me through the novel, rarely putting it down, slowed at the end. I read the first 3/4 in a couple of days, but it took me over a week to finish the last 1/4. RECOMMEND - Yes. Trust Me is entertaining, suspenseful and filled with memorable characters. Fans of the genre will probably eat it up. What a way to discover your sister is dead. Jeff Fenner is in an airport when he reads in the Metro section of the LA Times, "28 year old Marilyn Fenner, was found dead, apparently after jumping from her 12th floor balcony. An apparent suicide." No way, would Marilyn do that. Jeff boards the plane, heading home to find the answers to his sister's death. Ron Pool is the writer for the LA Times that wrote the story and he was uneasy and suspicious. He calls and then visits his good friend, Homicid What a way to discover your sister is dead. Jeff Fenner is in an airport when he reads in the Metro section of the LA Times, "28 year old Marilyn Fenner, was found dead, apparently after jumping from her 12th floor balcony. An apparent suicide." No way, would Marilyn do that. Jeff boards the plane, heading home to find the answers to his sister's death. self-help cult in Beverly Hills. The search is on to find a killer. Holly. Barnes, a beauty and wanna-be actress is unhappy. She is searching for solutions for a happier life. In an abusive relationship with Tony, a musician who likes to hurt her physically, Holly is trying to transform her life, and has been attending .meetings of a cult-like group called Saving Our Lives, or SOL. For $1500, she can take part in a workshop held at Serra Retreat in Malibu offering excellent food, an amazing view, and a workshop that promises redemption and self discovery. At one of the meetings, she meets and is charmed by Dr. Art Bradley, a handsome, spokesman for SOL. He becomes close to her, driving her every where is his new green Jag. Art wants her to attend the workshop. Holly thinks $1500 is too much money. Art tells her, " it is "a small price to pay for a miracle." He then tells Holly he will sponsor her, be her mentor and it will be free of charge. In this chiller/thriller, Earl Javorsky will keep you on the edge of your seat. His villain is cold, calculating and scary. It is almost as though he can read Holly's mind and when he gives her those little pills, she seems unable to resist his probing questions and escape from his strong hold on her. The cast of characters are compelling and add to the strong, dark plot. If you are looking for a read that will keep you in suspense and reading non-stop until the awesome filled finish, TRUST ME, is one you will thoroughly enjoy. A word of advice, keep the lights on and the doors locked. Enjoy. It is a great read told by a master story teller, Earl Javorsky. Book Review: Glimpses into a psychopath’s mind as he commits murder and mayhem all under the guise of a psychotherapist. Earl Javorsky’s novel, Trust Me is rich in twisted threads. It is dark and haunting as the reader follows Jeff Fenner through a journey to beat his addictions. He hears of his sister’s suicide and knows something is not right. She would never kill her self, nor would she ever willingly take any drugs as the autopsy report stated was in her system. Javorsk Book Review: Glimpses into a psychopath’s mind as he commits murder and mayhem all under the guise of a psychotherapist. Javorsky has many hidden quips throughout the novel that are fun to find and fun to laugh along with. Such as the SOL membership club, as modern day slang would state is Sh*t Outta Luck, but stands for Save Our Lives. An unfortunate acronym for the club, but befitting as to the state of its members lives. At the heart of the story is a way to show that addiction can be conquered and redemption is possible. However, it also shows that trusting in the wrong person can have deadly consequences. There are predators in every aspect of life, even the self-help community aimed to better people’s lives. This story has many intersecting threads of character’s personal stories that intertwine. Keeping to the thought that distinct separate circles can cross over. It keeps the reader’s attention to turn the page and find out the “how’s” and “why’s” and will the team after the killer be in time to thwart another murder. The darkness comes in twofold when some inner workings of the drug world are exposed and a creepy glimpse into the mind of a psychopath comes to light. After the last page is turned and all loose ends are tied, the story promises are met and the reader takes a deep breath, you are left to ponder what the hell just happened. It’s that good of a story! It’s that good of a ride! Unlike most crime thrillers, this novel is not driven by a cop protagonist. Instead there are four main characters whose lives are loosely connected and become even more so as the plot develops. Jeff Fenner makes an unlik Trust Me by Earl Javorsky is a crime thriller that snares the reader’s interest from the beginning. The novel opens with a prologue in which a woman named Marilyn Fenner meets an unexplained death and the reader is taken on a white knuckle ride before the mystery is unravelled. This book was good and definitely suspenseful, but it was extremely hard to follow. There were a couple times when I was convinced that I must have missed something......one time I was so convinced that I started reading the book all over again (those of you who follow us were probably wondering why this review was scheduled to post last week and I'm just now getting to it....this would be the reason). I was wrong. I hadn't missed anything, I was left with the same feeling of being out of the lo This book was good and definitely suspenseful, but it was extremely hard to follow. There were a couple times when I was convinced that I must have missed something......one time I was so convinced that I started reading the book all over again (those of you who follow us were probably wondering why this review was scheduled to post last week and I'm just now getting to it....this would be the reason). I was wrong. I hadn't missed anything, I was left with the same feeling of being out of the loop, and I quickly came to the conclusion that finishing this book would be more of a job than I anticipated. Don't get me wrong, as I said before this really was a good book, it's just the kind that you have to be completely focused on or you're going to miss something. I found that some of the characters were better developed than others, which was weird considering they would all be labeled as "main characters". Often times when I'm sitting down to review a "hard-to-review" book I ask myself one simple question before deciding which direction to take my review....."Shell, do you regret taking the time to read....?" For this book, my answer was that I didn't regret reading Trust Me, but I did, and still do, believe that it would have been a little more enjoyable had I not needed to take notes to keep things straight. You can find this review (and many more) here, on the CommonBookSense blog! Wow!! This was like a ride down a steep mountain road with no breaks!!! You know you are going to the bottom, now you need to figure out how to get there! I couldn’t put this book down. It is a great story filled with apprehension and trepidation. Eight young women living in California have committed suicide in the past year. Although family and friends find this hard to believe, the police have nothing to warrant further investigation. Then Ron, the reporter who writes up the last suicide has a Wow!! This was like a ride down a steep mountain road with no breaks!!! You know you are going to the bottom, now you need to figure out how to get there! I couldn’t put this book down. It is a great story filled with apprehension and trepidation. Eight young women living in California have committed suicide in the past year. Although family and friends find this hard to believe, the police have nothing to warrant further investigation. Then Ron, the reporter who writes up the last suicide has a hunch, something doesn’t feel right and he starts to investigate and he uncovers a link between all the girls; they all attended meetings of a group called Saving Our Lives. He starts to explore these meetings and meets Jeff, the last suicide’s brother who has a troubled past and together they work to solve the mystery. The plot in this book is superb. Each character is introduced separately with adequate background given to draw you into their lives; you connect and commiserate. Then he brings them all together and sends the story racing to the culmination. The story line is well thought out with no loose ends! I really can’t say enough about this story. This is the second novel by Earl Javorsky and now I can’t wait for the third!!! If you are into thriller suspense/ mystery, murder and mayhem, Earl Javorsky is an author to be added to your TBR list! In my humble opinion, he ranks right up with the best authors out there in this genre. Trust Me is written in alternating voices, which can be disconcerting with so many characters, but at some point that becomes a minor influence as you move deeper into the story Javorsky creates. It is an effective tool though as these various characters begin to cross paths with one another. If you are into thriller suspense/ mystery, murder and mayhem, Earl Javorsky is an author to be added to your TBR list! In my humble opinion, he ranks right up with the best authors out there in this genre. Trust Me is written in alternating voices, which can be disconcerting with so many characters, but at some point that becomes a minor influence as you move deeper into the story Javorsky creates. It is an effective tool though as these various characters begin to cross paths with one another. The stage has been set for their interactions and the suspense steadily builds to the climactic end of this brewing pot of insanity and criminal deeds. Truly a nail biter with criminal intent which repulses this reader at times, it is difficult to put Javorsky's work down. His writing is smooth and flows effortlessly; his characters are strong and well rounded. You can feel their psychological pain and weaknesses in the writing. Javorsky is definitely an author that should be followed as he journeys through this genre. This is Javorsky's second novel and the second one I've reviewed. Sadly, his second attempt doesn't meet the standard of his first. While the blurbs point to Fenner as the main character, you would be hard pressed to come to that conclusion by reading the story. There's Holly, and Ron the newspaper reporter, and Joe the cop. They all get their own story lines and seemed to me that they were at least the equal if not more important that Jeff at times. There's nothing wrong with that as a story te This is Javorsky's second novel and the second one I've reviewed. Sadly, his second attempt doesn't meet the standard of his first. While the blurbs point to Fenner as the main character, you would be hard pressed to come to that conclusion by reading the story. There's Holly, and Ron the newspaper reporter, and Joe the cop. They all get their own story lines and seemed to me that they were at least the equal if not more important that Jeff at times. There's nothing wrong with that as a story telling technique, it's just not what you expect after you read the cover description. There are some muddled plot lines along the way as well. In the end, Javorsky is a solid story teller, so "Trust Me" is a pretty good read. Just not quite as good as its predecessor. Javorskys second novel set against the dark undertow of drugs, addiction, sexual abuse and cults, unfolds quickly to reveal a suspenseful and entertaining page turner. As with his first novel, DOWN SOLO, the author is graphically vivid writing about his subject matter. I absolutely felt like I was "in" one particular scene involving water and crashing waves and a lone surfer. Overall this is a light and fun read that will fully grab your attention from page one. This was a pretty good read. The ending was a little predictable. Very enjoyable read! The characters were so very flawed, entertaining and likeable. Looking forward to more of his books!! Earl Javorsky grew up in Los Angeles and attended the local community college and UCLA. He then went to Emerson College, a teacher training school in England. Besides having written two published novels, he has created strategically optimized content (blogs, feature articles, and web pages) for treatment centers throughout the country, taught music at Pepperdine University (Malibu campus), worked Earl Javorsky grew up in Los Angeles and attended the local community college and UCLA. He then went to Emerson College, a teacher training school in England. Besides having written two published novels, he has created strategically optimized content (blogs, feature articles, and web pages) for treatment centers throughout the country, taught music at Pepperdine University (Malibu campus), worked in technical sales and marketing, and been employed as a writer for several Hollywood entertainment periodicals. Additionally, he has worked as an editor and/or proofreader for several publishers, including The Story Plant,BelleBooks, and The Learning Company, as well as (on the technical side) The Bulletin of the Seismological Society of America.